Kirjoittanut Erkki Ruuhinen 11.10.2018 15.10.2018 . All the readers know, of course, what a poster is, don´t you? How they look like, what they usually tell and why they are being made. As well as the merits they are valued for. To sum it all up: what is essential, important or even a necessity about posters. In my experience, particularly knowledgeable about posters are all those who commission them. Very often ordinary people, too – those who have sometimes been browsing some posters. One further group should be mentioned: agency bosses of elder generations. But even more knowledgeable, however, are the representatives of visual art, art critics, designers, architects, advertising planners, teachers of planning, people who write columns on culture and – happy not to have forgotten – art museum principals, as well as film and theatre directors. a little better or very much better than the poster designer. find themselves left alone in their search for the unique, complete and final conception of a poster. As they carry on with their work, they also carry on their personal search, maybe never finding a lasting solution. But this does not mean, however, that they would be prepared to accept any known interpretations from others, as final explanations. find themselves pondering: Is it really true that it´s all the others that know the complete, definite and final answers to these questions? The depth of expertise connected with posters, the confrontation of opinions, can be seen in Finland in a number of variations between involved parties. It can be seen in the relationship between the client and the poster planner; between writers on posters and the poster planner; as well as between designers, visual artists, architects and the poster planner. All of this speaks for itself about the status and valuation of graphic design and posters in this country. It´s also been clearly visible that within these confrontations, the poster designers have been the passive, silent and receiving party, while the others have been active at presenting public views on their work. Dear colleagues, what is the reason why we remain silent? Wouldn´t it just be high time to start speaking our mind, based on our personal work and experience? It´s fully possible that our answers may not be fully correct, or that they will not tell the unquestionable truth or that they may differ from the publicly accepted views. But even then, they may prove worthy enough to bring forward some new ideas. This was my personal warming-up into the subjct, based on which I shall now introduce you to some of my personal answers to questions which I have been pondering in my role as a poster designer. 1. What is a poster? In very general terms, a poster is a printed or painted advertisement, larger than an ordinary newspaper ad. It´s a medium of communication, and as such, a many-faced one. It thrives on a variety of ingredients from visual art, photography, literature, advertising, currents of thought and fashion. Almost from anything that can help it – thanks to poster designers – renew, find new forms, contents and expression. A poster is a medium meant for visual communications, a medium that operates and influences in all thinkable connections in the space between pure trading and participating visual arts. At its best, a poster is like a theatre play squeezed into just one plain illustration. It is based on a certain message aimed for the recipients, the theatre audience. To tell the story, the message has been given a visual-verbal dramatization, set-up and technical form, the actual presentation and direction. 2. What is the function of a poster? The main function of a poster is to convey the commercial and/or ideological message from the sponsor to the recipients. In other words, to people, whose opinions and/or behaviour the sponsor wants to have influence upon, through the message of the poster. 3. How to evaluate the quality of posters? As a poster is a medium of com-munication, its value, from the sponsor´s point of view, can be defined, first and foremost, by its performance within the communications and persuasion process. But there are other ways to evaluate posters, too. the play gets across to the viewer. Supporters of some other aspects may also be found. When all of these valuations will be further spiced by a variety of timely variables, the soup is ready to be served: what sort of a role and development grade do the posters represent in the visual culture, visual arts and graphic design of our time? How does the poster reflect the development in advertising, photography, drawing and typography? What does an ideal poster look like, as a part of our visual environment? How good is it, technically, as a printed matter? How well does it reflect the fashion, taste and ideas of its own time? The list is endless. Personally, I find that the most important basis for any such valuation is how well the poster manages to convey its message, how well it can reach out and touch the recipient, how well it has been adapted into the timely mode and how well the overall approach can be appreciated. How superficial or how profound is the thinking, the actual content and the visual quality of a poster? 4. How does the valuation process look like within juries of highly notified poster competitions? As the list of varying aspects shows, posters can be judged and evaluated from many different viewpoints. There just isn´t any such single approach that would enjoy even national, let alone inter-national acceptance. Therefore, even the most authoritative international juries are just a concoction of views of their individual members. And the decisions made by the judges only reflect the internal power balance inside the juries, as well as the compromises which have been reached on a case-by-case basis. other socialist countries), the Japanese, the Swiss-German, and the British-American-Swedish one. a Polish poster look like? My view is that in a Polish poster, the emphasis is not so much on the clarity and effectiveness with conveying the message, as is the case within western communications. Instead, the key emphases can be found in other values: in rich forms, in imaginative thinking, in enigmatic, even cryptic approach, while any exact messages will be cast for just supporting roles. The national strives for advanced style and thinking and technical perfection, make their mark, in Polish posters, through photography, typography and printing quality. The thinking may be a little too strongly connected with pondering how to use the visual surface of the poster, how to find the wanted aesthetic, sometimes shocking, surprises. The actual message of the poster, verbal expression and the refinement of the copy as high up as possible, sometimes seem to remain in the shadows of all this search for visual effects. 7. How to define a Japanese poster? The Japanese poster is the magnificent outcome of a centuries-long cultural development, original, unconventional national thinking, and modern techniques. At its best, a Japanese poster is highly refined, personally thought of, brilliantly visualized and printed to perfection. A simply unique piece of art. Because of the differences in Japanese and Western writing, it is, however, not possible for me to see beyond that dazzling surface. One can only make guesses upon the posters´ verbal quality. 8. How to evaluate a Swiss-German poster? It is a poster that in the 1950´s and the 1960´s, and in the beginning of the 1970´s had very strong reflections upon the Finnish poster thinking – thanks to its visual power, its highly disciplined typographic approach and its universally modern style. These qualities were particularly visible in Swiss posters, and I believe that this helped further develop the graphic design in other countries within the Western stylistic code, towards the ideals of clarity and simplicity. My view, however, is that now this school might have been left a little behind at a time when the emphasis on verbal expression even in posters got very much stronger in the US and Britain, the leaders in advertising and communications. 9. So, next, how to define a British-American-Swedish poster? At its best, it´s a concoction of highly developed advertising, influencing, efficiency, capability of talking to people understandably, timely humanity and superb copy. Simple, clear, uncomplicated, human, appealing, efficient. The main emphasis is on the message, how to express it as exactly as possible, what to include and how to refine the combination of the visualization and the copy up to perfection. The thinking and the making have moved from the search for visual effects up to careful consideration of the message, and how to make it as impressive as possible. This, in turn, leads to trying to make the visualization as easily understandable as possible. No space for interpretations, no dizziness – and certainly not lack of meaningful content. The copy always intelligent, refined, easily readable. The combination of the visualization and the copy together form a clear, understandable piece of thinking, a message that is meant to be conveyed to the recipient effectively and impressively. 10. Are these schools different on geographic grounds only? Yes and no. All such efforts, connected with the style and contents of posters, are being run parallel in any countries. Even inside the sphere of work and personal professional development of an individual designer. A practical example would be a young graphic designer who starts his/her career with posters in a Polish mode, through drawing. A little later, his/her thinking may advance in the direction of the Swiss style, to become more disciplined. The next phase may well be based on Japanese visual thinking. And then, finally, he/she moves further into advanced Western communications, encouraged e.g. by British advertising and/or through his/her own professional development. 11. All in all, it seems that I might value most the British-American school, doesn´t it? Keeping in mind the key function of any poster – that it should be able to act as a medium of human communication – and judging the various schools with a critical eye, analytically, without prejudice, then there just isn´t any other option. Having said that, each and every school has its own value and its right for existence. The varying views are strongly connected with the cultural ground of each individual country and reflect its values. Here in Finland, the varying viewpoints are very happily mixed – just indicating the unstructured state of our national poster philosophy. 12. How do the differences of thinking affect discussions on posters? Each and every school has its own truths and each school uses its own language. Therefore, the varying schools sometimes face difficulties in understanding each others´ thoughts and each others´ efforts. So also discussions between schools can sometimes prove difficult. 13. How to define the Finnish poster school? Or does such a thing even exist? In my opinion, there is no such thing as typically Finnish national poster philosophy, philosophy with a specific tone. There´s just the Finnish history of posters, with its grades of development. These, generally speaking, only tell us what kind of reflections the various schools have cast on the Finnish posters over the years. It may be worth mentioning that the chronological order has been such that at first there was the Polish school, then the Swiss school, and then the British school – school that keeps on coming right now. This doen´t mean, however, that we would be lacking sympathy towards all the other schools, too. At the same time, a development emphasizing clearly commercial values in communications, keeps growing fast. This is probably the right direction to go to, if we think of posters as pure means of advertising. Should we want anything else from posters, then there´s a need for adapting a wider perspective. 14. Are there any other particular features about Finnish poster philosophy? Among poster designers, teachers, as well as active writers commentating posters, the views seem quite mixed. Far too little discussion, far too little analytical categorization, far too little discipline. There is no such thing as common philosophical ground – just quite an amount of crossing subjective views and competing philosophies. No researches, no books, no writings that would help organize the overall picture on posters, that would create concepts and that would be able to locate the varying opinions, widely enough, into their respective contexts. 15. The Finnish poster school: what does it actually mean? The dignified publisher and editor of the Graphis magazine, Mr Walter Herdeg, once spoke about such a thing, the Finnish poster school, when using this concept in his speech at the Warsaw 1972 Poster Biennial. How this concept came about? That such a concept was ever born, was linked with an observation I made when studying the rules of the Warsaw Poster Biennial. Namely: the thing that I spotted was that there were no limitations as to the size of posters or the number of posters in any poster category. What´s more, no limitations either on the size of the planning team. Based on this information, I asked my then-employer, SEK Advertising Agency, a permission to have the necessary poster originals produced at the agency´s expense. Permission granted. What we then did was that we planned exceptionally large black-and-white posters, on socially relevant themes, based on actophotos, with copy bits in English. As a result, we sent some 25-30 posters to Warsaw and managed to reach absolute visual dominance of the exhibition. This was a major surprise. Walter Herdeg then commented these posters in his speech by using the definition ”The Finnish School”. This is how the concept was born. 16. What kind of contradictory ideas are there on posters in Finland? The first thing, of course, are the differing views between schools on what a good poster actually is. Secondly, the arguments around the size and format and how these affect the concept of a poster: e.g. is the long streamer on the side of a bus a poster? 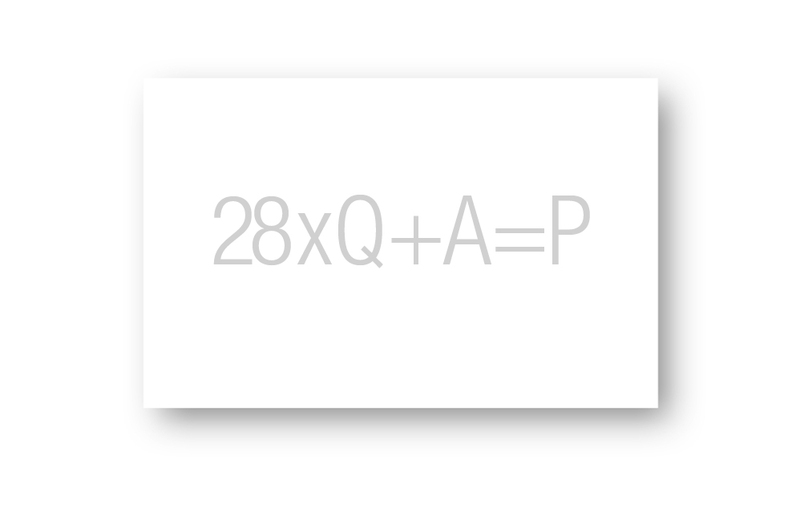 Is a poster just a printed matter of a certain size and a certain format? Thirdly, it also might be worth mentioning the various poster concepts based on different technical solutions: is the mega-sized painted outdoor advertisement, above a cinema entrance, a poster? Is a roller with changing pictures a poster? Or an outdoor advertisement, on a luminous screen? Is a hanging mobile a poster? a poster? Is a piece of a serigraphic print, meant, principally, for artistic circles, a poster? Fifth point: existing contradictory opinions on how to categorize posters within the whole of visual culture. Are posters part of visual art, arts & crafts, graphic design, advertising or what are they? 17. How to cope with contradictory ideas? Personally, I´d like to widen the poster concept as wide and large as possible, without any technical restrictions, regarding contents and/or form. I´d like to see posters, widely speaking, as media of communications, an inseparable part of advertising and graphic design. The planning of advertising and graphic design should in turn, in any civilized country, be regarded a significant and well-respected part of form-giving, design. This should be the case in Finland, too. Or is Finland or is it not a civilized country? It well might be that our circles of form-giving people have not fully made it clear to themselves what graphic design actually is. And what categories of design are being included in this concept in e.g. countries such as Italy, USA, Switzerland, Britain, Japan and Sweden. A poster can also be a part of visual art, within any form of participating art, photorealism, neorealism, surrealism or within any other form of expression whatsoever, presuming, of course, that the visual quality of the poster is high enough to meet with the requirements of visual art. The rather harsh attitude towards posters by some form-givers and designers, plus by some critics within both of these two fields, has also resulted in the fact that the posters have not reached their well-deserved status as part of Finnish design and visual art. I´m willing to believe, however, that this attitude is only temporary. The next few decades are likely to fully change all this, as the concepts of visual art and design will be seen in a wider perspective. 18. What is the single most difficult thing about planning posters? The selling of a brave and uniquely original idea for a poster to a client. This is when the best posters usually get killed in Finland. 19. But why is that? The typical Finnish client, commissioning such items as posters, is almost always a conservative. Full with prejudice, he/she doesn´t simply dare take any risks. Or does not want to. Therefore, he/she, in most cases, just wants to reap off everything that is brave or new or exceptional. He/she obviously believes that no matter how many spicy ingredients will be left out: even so the soup will remain good enough. 20. What are the consequences? The more far away one gets from bravery, the closer one gets to mediocricity. Instead of cooking an exceptionally impressive soup, a complete opposite will be served, a soup that can hardly be regarded even edible. Not the public, not the designers, not even the client himself / herself would like a second portion. The low interest rate is not regarded a risk. But bravery, the high interest rates, are. A paradox, eh? And precisely therefore, as a result from the lack of brave, self-confident clients, the progress towards higher sharpness, towards stronger appeal ratios, keep going so very slowly in Finland. 21. The next most difficult thing about planning posters? Turning the message into a drama that truly appeals people. 22. Isn´t it so that the contents of the poster, and even the copy for it, usually come as ready given factors from the client. And the planner then only does the necessary visualization? No, hopefully not ever! This is one of the most damaging misconceptions about poster design. The idea that a poster designer would, even at his/her best, be just an illustrator, maybe capable of, in the best case, turning even the dullest idea into a visually enchanting solution, usually just isn´t possible. Whenever this is the standing point for an order, there´s no understanding of the importance of verbal, textual conception. Even so, this might be as important, maybe even more important than any other planning element. Most of the world´s best posters have resulted from the teaming up between a writer and a graphic designer. And this will be the case in future years, too. 23. What would be the easiest way to point out the importance between the copy and the picture? Let´s think about the drawings by Kari in Helsingin Sanomat. Their unquestionable wit isn´t based on the illustration only, the texts are an inseparable part of the total impression. The texts, together with the illustrations, form the completed combination, the punchline and the message, to characterize Kari´s sharpness, his power and his appeal. 24. Why is it so seldom that we find such sharpness in Finnish posters? It all boils down to professionalism – or rather: to the lack of it. Of course, things like having very little discussion around about these things, false placing of values, lack of adequate research and critique, plus our educational standards, all of these give their additions to the same concoction. 25. A good poster: what is it like? A good poster needs to fulfill its task and role in the communications process. Therefore, a poster should be positively surprising, striking, dramatic, humorous, hearty, human, funny, startling, wonderful, scaring. In a word: its power to appeal should be unquestionable! A poster should be a declaration created on top of the key message, something that would present itself in a highly developed form, something that could be described by such content definitions as above. If a poster can meet the requirements above, it also has to be bold, beautiful and free of prejudice. The point is that I do not want to say that a poster should fit into a certain mould, to highlight any certain style, any thinking, any certain planning mode. All of these may just be tools for making a good poster. 26. A bad poster: what is it like? Mild, fragile, blurred, without appeal. A bad poster is a poster which is lacking all understanding on the true function of a poster. This is why all the irrelevant features may become dominant, the message may get blurred and badly sidelined. 27. A good poster designer: how is he/she like? He/she is likely to be someone with a good sense of humour, a virtuous seller, great aesthetic, profound thinker, interpreter of timely phenomenons, someone capable of making people both laugh and cry. In other words, he/she would be someone in whom all those features needed for becoming a good planner have materialized into true professionalism. And precisely this can be seen in his/her posters in the form of upgraded thinking, deeper understanding, presence of humour, aesthetic values, in joy and sometimes even in pain, in the beauty of thought and form that is capable to appeal people. 28. The Finnish poster: how can it be further developed? By working harder! By thinking much more! By developing the key idea much further than people would do normally. The idea, for a playwright, is nothing but a raw thought for a possible play. The idea has to be written into a beautifully finished manuscript, to dramatize the story well, to create wonderful settings, to direct the play professionally – and, finally, get it all performed in an exquisite fashion. The same thing with a poster. To be able to become a good poster designer, it isn´t enough to be a good set decorator. One needs to be an excellent director. Tapani Aartomaa asked me to write this article on posters, to be included in a book on posters, by his wife Ulla Aartomaa, a book for which, according to Tapani, she had been granted financial support. As to this article, I have never seen it published in any poster book whatsoever, but some echoes were heard in some of Tapani Aartomaa´s public speeches later on.